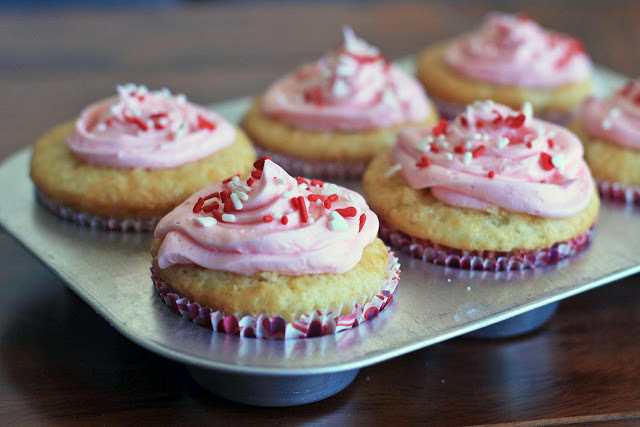 I wasn’t really planning on making any Valentine’s Day treats to post until I spotted the cans of Pillsbury Valentine’s Day Funfetti pink frosting, complete with red and white hearts and sprinkles, at the grocery store. What can I say? I’m a sucker for seasonal baking supplies, heart shapes, and the color pink. Awhile back, lured by the per unit savings, I made a somewhat ridiculous purchase of a half-pound of vanilla beans. After all, why buy two beans for $10 when you can get 50+ of them for only $30? Buying a half-pound just seemed to make good financial sense. 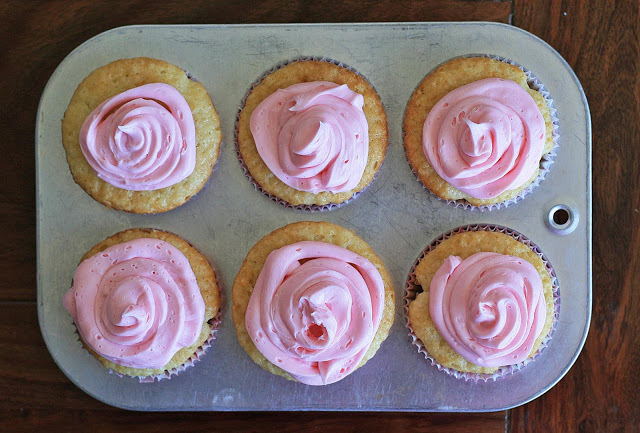 And so my go-to standard vanilla cupcake recipe has morphed into a very vanilla cupcake recipe. But if you haven’t invested in vanilla beans lately, don’t worry. Vanilla extract will still do the trick. 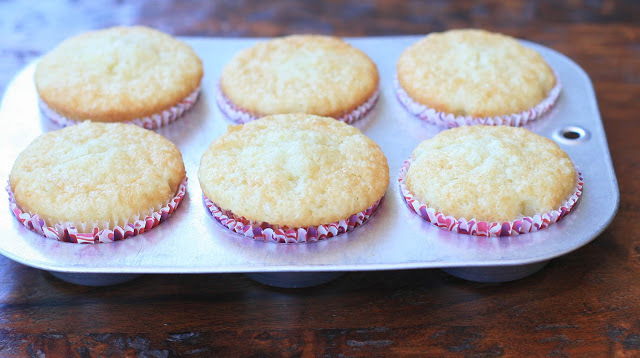 Preheat oven to 350 degrees and place cupcake liners in a 12-cupcake baking pan. In a large bowl, beat the sugar and eggs using an electric mixer. Add the rice flour, potato starch, tapioca starch, salt, baking powder, xanthan gum, oil, milk and vanilla bean seeds. Mix until smooth. 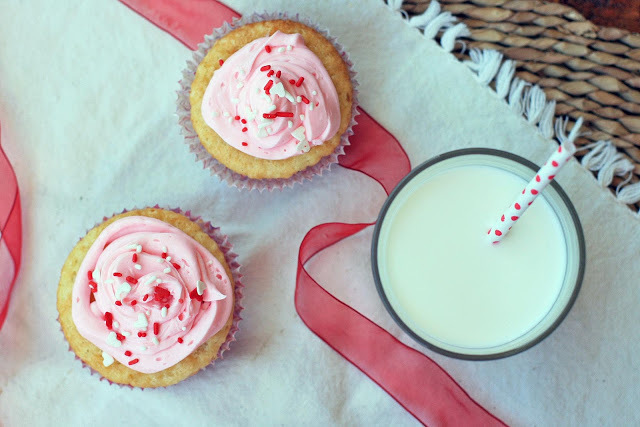 Pour batter into prepared cupcake wells. Bake for approximately 18-20 minutes, or until the tops are just beginning to brown. Remove from oven and cool completely before topping with the prepared frosting. 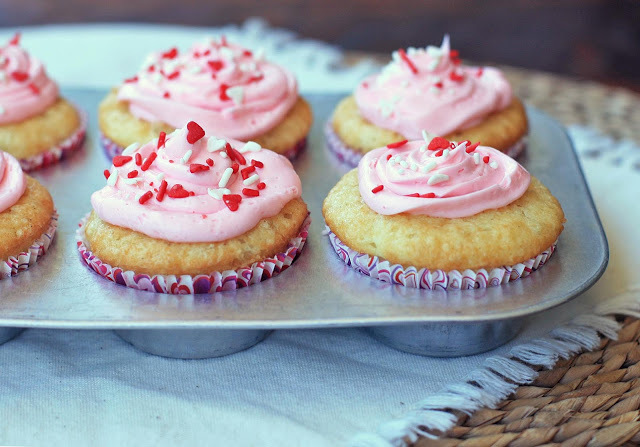 Sprinkle with those cute Valentine’s Day hearts and sprinkles and enjoy!